All Garden Buildings should have a substantial base built on solid foundations if they are Built To Last. A number of our competitors will use a recycled plastic pad/grid system which is simply placed on the ground and filled with loose stone. 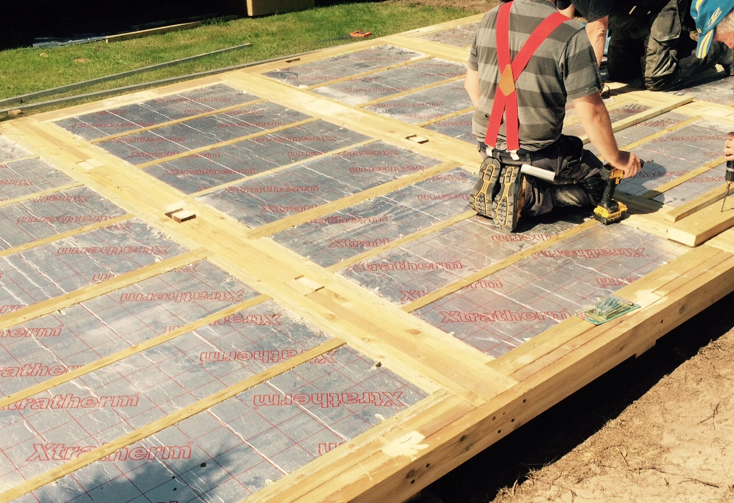 Whilst this is a very quick and cheap way to provide a foundation, we would only use this method for light weight 'Shed' type structures which are placed on very firm ground, as we doubt the long-term stability of this approach. Please Note: A Rubicon Garden Room weighs in excess of 3 Tons (larger ones weigh even more..! ), so this method is not suitable for our installations. By contrast, creating a concrete base is very messy and disruptive to your home environment, requiring considerable ground excavation with mechanical diggers and skips involved. Neither is it very eco-friendly way to provide a foundation for your Garden Room, as every tonne of processed cement releases a tonne of carbon into the atmosphere. 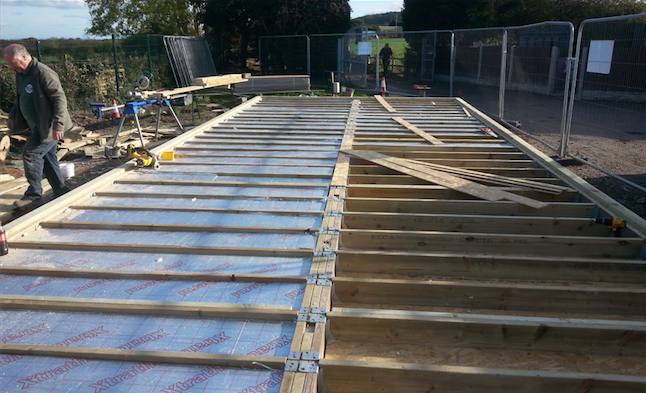 As a compromise therefore, we fit concrete pile foundations. This is where we bore holes all around the perimeter of the base to a depth of 500-750mm and fill them with a solid concrete mix. This uses only around 10% of the concrete employed in a slab construction, whilst providing a firm footing, bonded into the ground, upon which our building can sit with confidence. Once the concrete has set, our building is supported on these concrete piles by adjustable jacks (which are galvanised and rated at 6Tons each), so we can cope with slopes in the ground levels of up to 18" without a problem. If you move the building in future, the circular holes in the ground are easily covered over with soil and vegitation leaving no evidence of their previous use. In addition, where required to stop weeds growing under the base of our buildings we use a Recycled Weedblock, which is rolled out on the ground under the building before assembly begins. This material is made from recycled plastic bottles, and each roll removes ten 2-litre bottles from landfill.